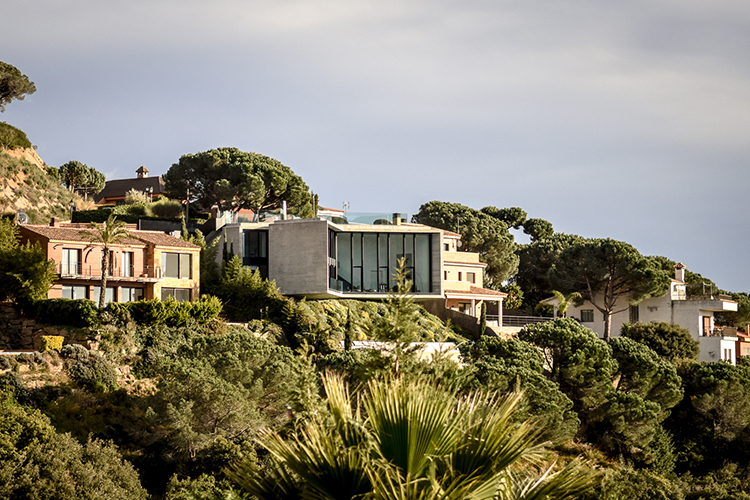 There’s something distinctly ‘James Bond’ about this 4-bedroom home just outside Barcelona: an X-shaped concrete and glass construction jutting out from a pine-tree-covered hillside looking out to sea – yes, it’s hard to think of a weekend getaway better suited for a seriously slick spy on a break. Casa-X is available for both visitors and commercial guests. 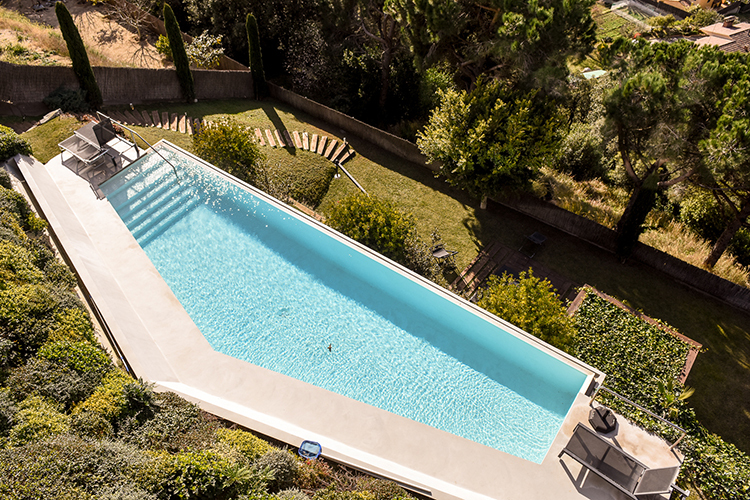 For couples, families and groups looking for a fantastic place to spend their vacation time, to film directors looking to infuse a little Tom Ford into their next feature film, this place offers both. And we can see why. 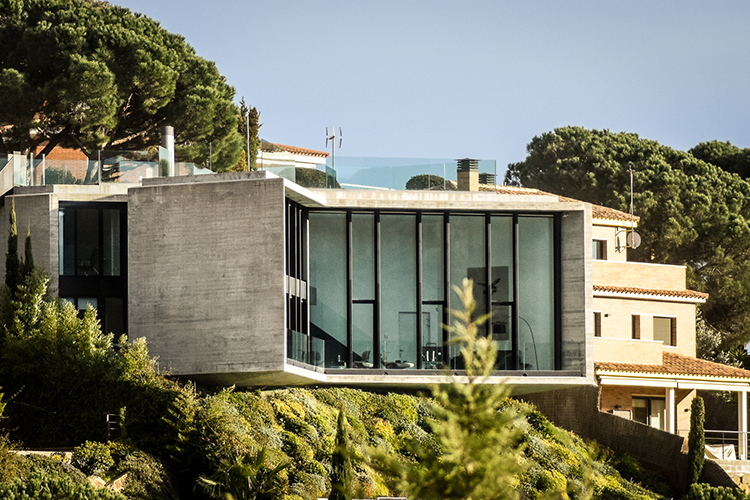 Designed by renowned Catalan architects Cadaval & Sola-Morales, Casa X unashamedly stands out from the rest of the more traditional villas set in this affluent area of Cabrils. 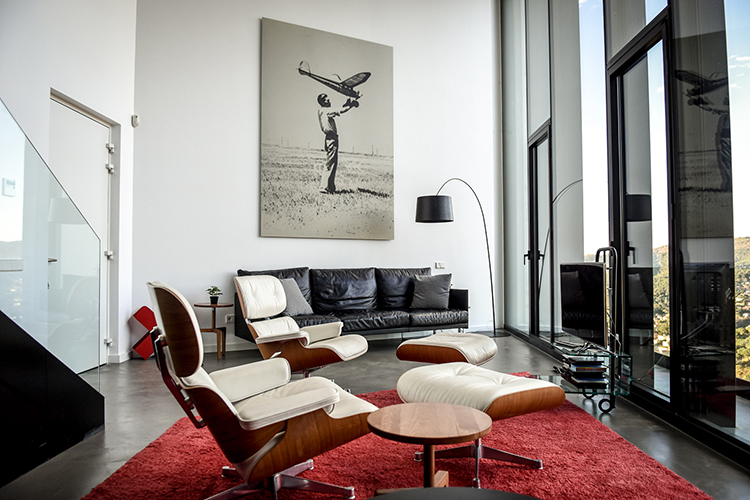 Inside, it’s a generous 315 square metres distributed over 2 floors; and while its carefully kitted out with a mix of modern décor - think giant contemporary artwork, 60’s style Charles Eames chairs, and oversized light balls – the real star of the show is the view. 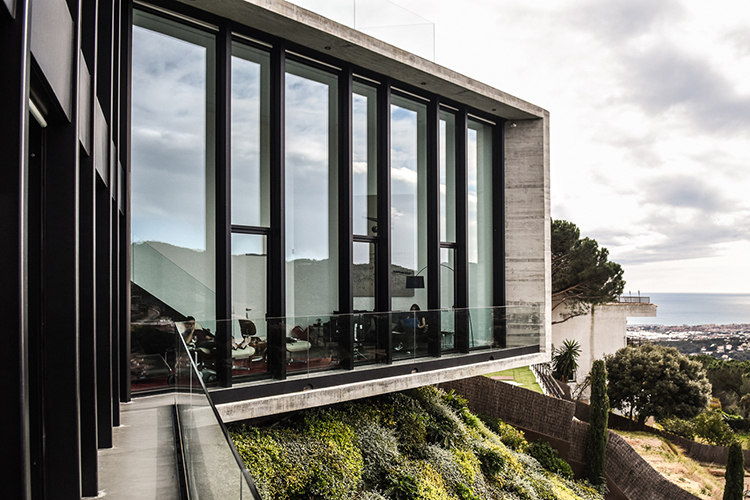 Wooded mountains and the sparkling Mediterranean Sea are visible from all angles, and reflect off the double height floor-to-ceiling windows. Here, nature and cutting edge design are one.